If you’re tuned into the WordPress ecosystem, or WordPress news, or even have logged into your WordPress Admin Dashboard recently, the chances are that you’ll have seen the word “Gutenberg” in some form or another. Automattic and the WordPress Core team are heavily promoting the new editing experience within WordPress and, whilst it remains a highly controversial plugin which has been lambasted with negative feedback (currently sitting at a paltry 2.5 star rating), it is going to be making its way into WordPress Core starting with the next major version 5.0. As such, the development team here at Fifteen figured it was high time that we did a deeper dive into Gutenberg and attempt to answer any questions you may have about it. What is the Gutenberg update? “Gutenberg” is really just a codename for the new WordPress WYSIWYG (What you see is what you get) editor. Gutenberg is easier to remember and is a nod to the inventor of a printing press with movable type over 500 years ago; Johannes Gutenberg. Quite a fitting ‘origin story’ if you think about it, as one of the goals of WordPress is to facilitate ease of access to content and tools with which to publish that content. What does it do differently to the old editor? The editor to which many are used to is called TinyMCE and is not a WordPress specific editor, though with WordPress reportedly now powering 30% of the web, it’s undoubtedly one of the most popular WYSIWYG editors around. TinyMCE was introduced into the WordPress Core many years ago, as early as WordPress 2.0, with the latest major update to it being back in 2014 with WordPress 3.9 updating TinyMCE to version 4.0. That’s right, 2014! In web terms, those 4 years might as well equal 40 because the web progresses at such a rapid pace. To put that into perspective, 2014 is the year that Facebook first rolled out the “Follow” button and bought WhatsApp. As such, it is high time for a replacement editor for WordPress to bring the CMS in line with latest web technologies. Gutenberg is going to feel very familiar to any users who have a “Page Builder” system, such as WPBakery Visual Composer or the Divi Builder, which allows them to change the look and feel of their website without touching a line of code. Gutenberg introduces the concept of “Blocks”, and moving content around the page with a simple but intuitive arrow system. Personally, I think this is going to be extremely useful for Conversion Rate Optimisation, as we can now duplicate a page and change the order and A/B test it for results. Gutenberg will ship with all of the default blocks which you’d expect, including but not limited to; Paragraph, Heading, Subheading, Quote, Image, Gallery, Video, List, Button, Columns and Embeds. Our developers will also be able to add in custom blocks which will suit your needs, for example, a block which pulls in a random product from your catalogue, or a block which uses an API such as reviews.co.uk to display customer feedback. Some of our favourite plugin authors have already upgraded their plugins in line with the proposed release date of WordPress 5.0 and Gutenberg, such as Advanced Custom Fields and Yoast SEO. We’re especially excited about seeing what the guys over at Advanced Custom Fields will add in future to Gutenberg. WordPress 5.0 is slated to release Thursday 6th December, though the date could still change. You can follow the release schedule here. What if I don’t want to use it? Never fear, fortunately, WordPress is all about maintaining backwards compatibility for all websites. If they were to introduce a new way to maintain your content to 30% of the web, with no optional downgrade, there would be uproar! In aid of this, they have also converted the current editing experience into a plugin, affectionately named “Classic Editor” which you can find here. If you need help installing this plugin, or if you have any questions about Gutenberg, please get in touch with our dev team and we’d be happy to help. 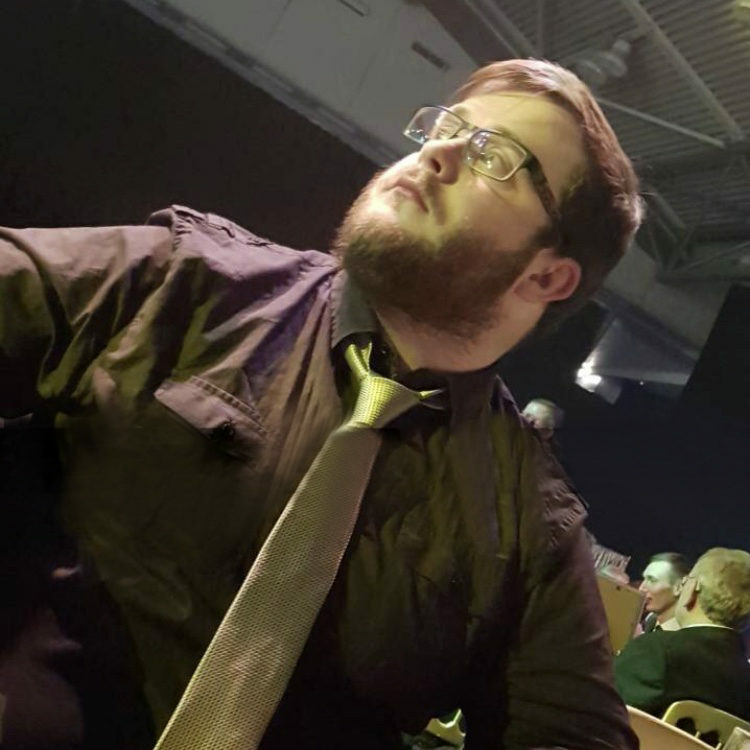 Mikey started in 2015, and since then has worked his way up to being Lead Developer at Fifteen. Proud to be the fifteenth member of the Fifteen team, Mikey has spearheaded our Laravel Development plans, dabbles in systems administration and devops, and works alongside the development team to ensure the quality of work coming out of the studio is the best it can be.